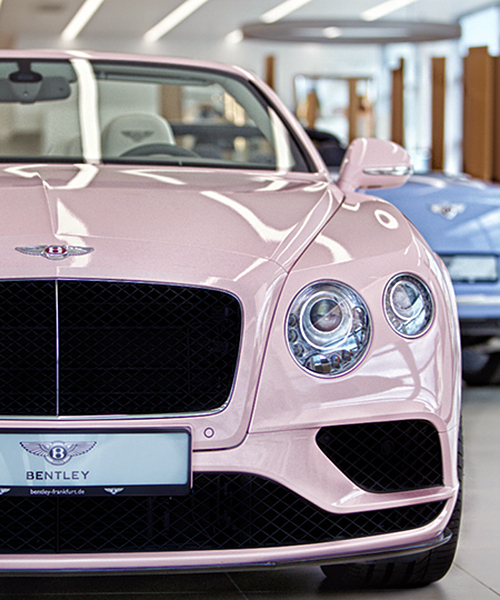 pantone is the global color authority and provider of professional color standards for the design industries. pantone products have encouraged colorful exploration and expressions of creativity from inspiration to implementation for more than 50 years. 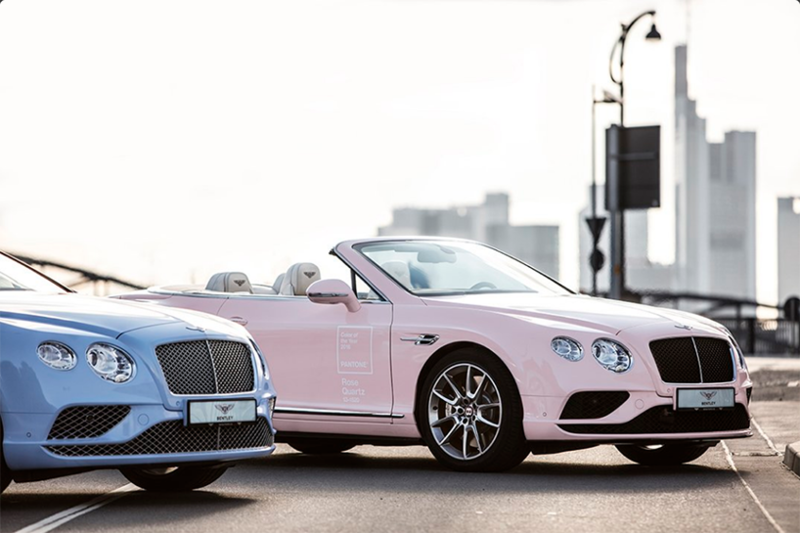 bentley + pantone continental GTs: the luxury car manufacturer, in collaboration with the global color authority, has released two V8 convertibles proudly sporting the 2016 pantone colors of the year: rose quartz (pantone 13-1520) and serenity (pantone 15-3919). 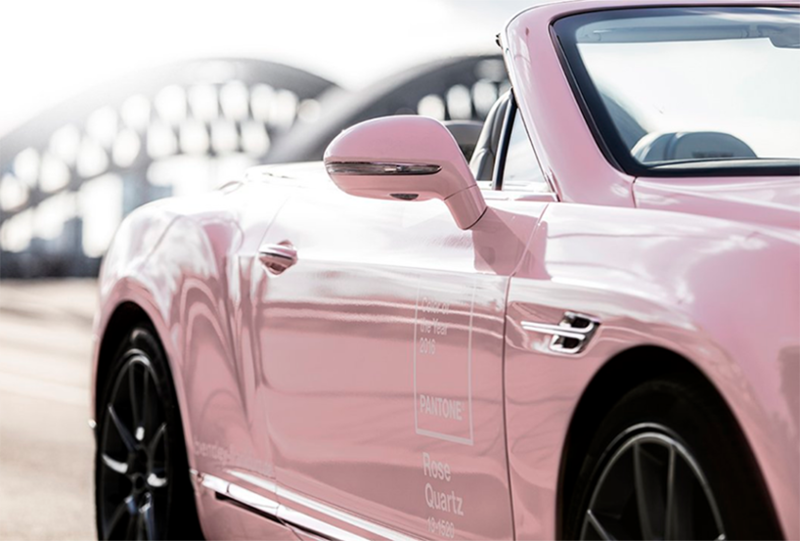 the hues have appeared in home decor, beauty, fashion, and now bespoke cars, to celebrate the reopening of bentley’s flagship dealership in frankfurt, germany. 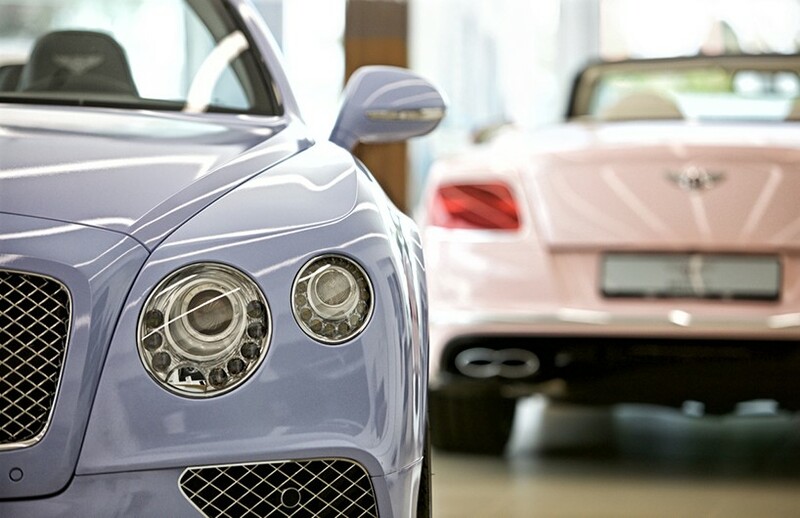 pantone chose the two colors to illustrate what has been taking place within society — consumers seeking well-being as a remedy to modern day stresses — and serves as an expression of a mood and attitude. 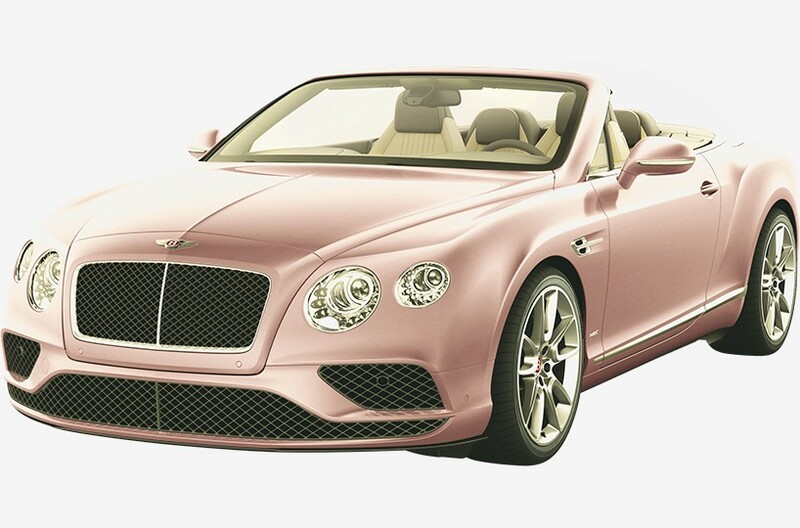 the shades also blend well, illustrating the gender blur we’re experiencing in fashion and other aspects of design. 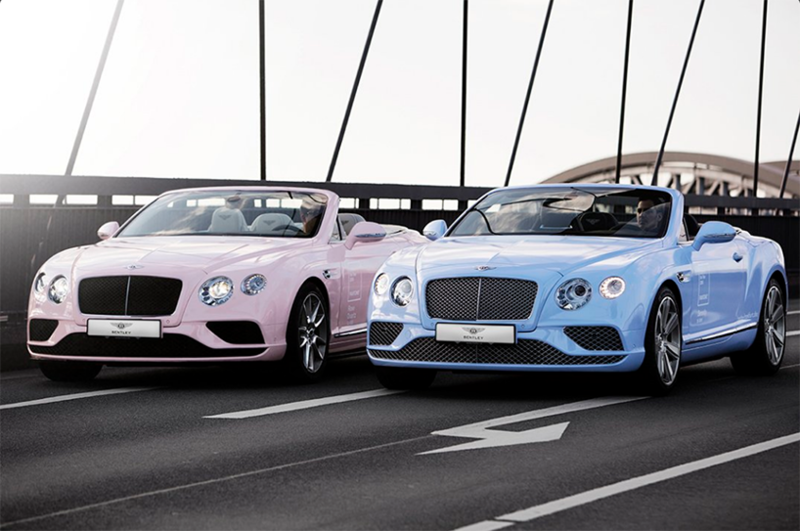 pantone says that the mix serves as ‘a color snapshot’ for the year of 2016, expressing an attitude for the year. 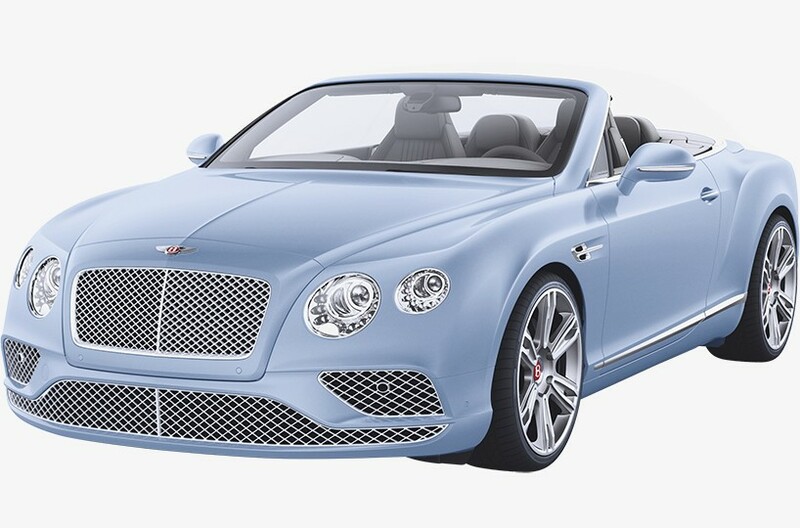 the bentley ‘continental GT V8 convertible’ also boasts first-time design features, including a completely redesigned front spoiler and rear diffuser. 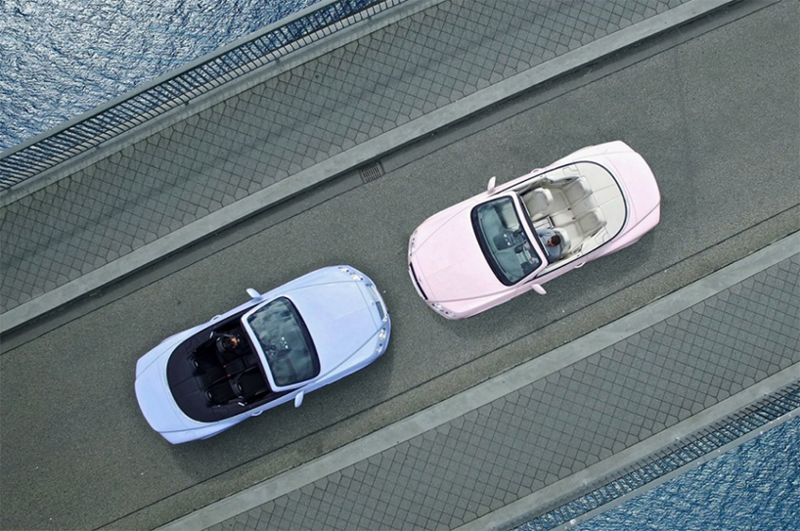 the four-layer retractable hardtop roof allows the car to comfortably accommodate four riders, with the roof closed or open. 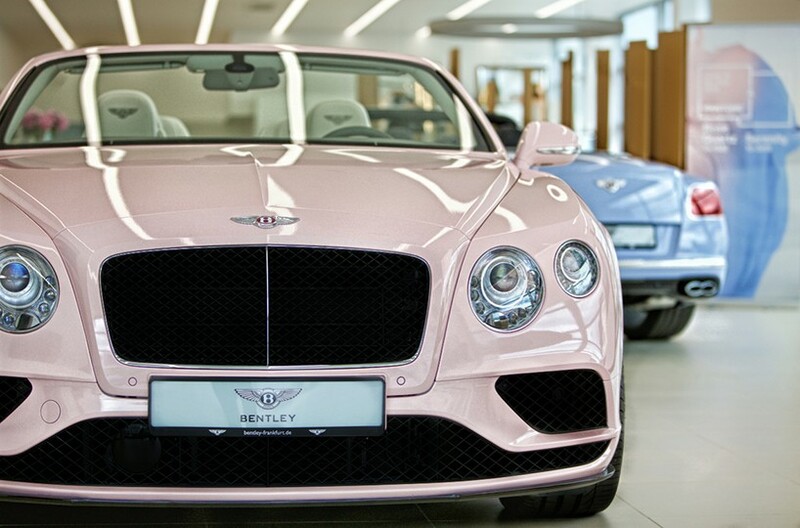 with the interior of bentley have created a stylish, all-enveloping place. 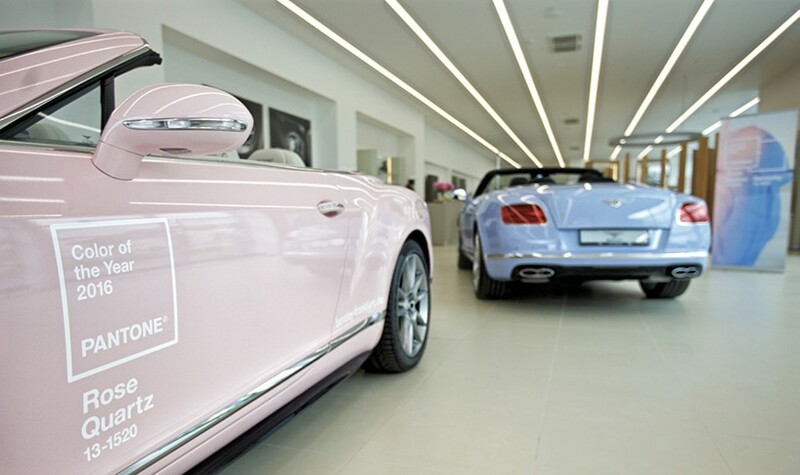 great attention to detail has went into creating the unobtrusive yet sophisticated interiors.